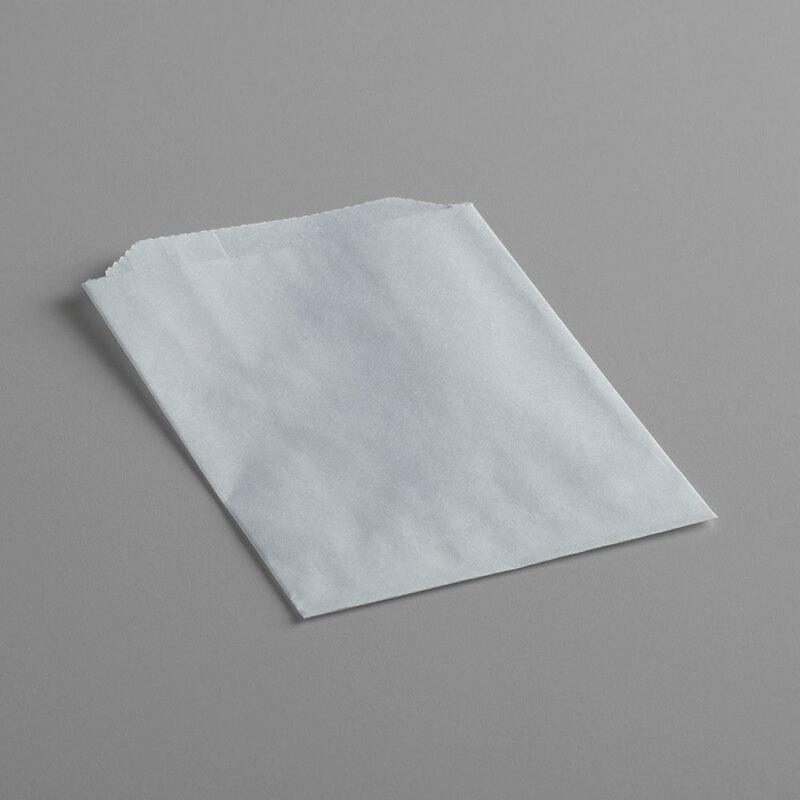 Serve hot, fried foods at your carnival, concession stand, food truck, or fast food restaurant with this Carnival King 3 3/4" x 5" hash brown / hot food bag. From greasy mozzarella sticks to fresh french fries or gooey chocolate chip cookies, this hot food bag has your needs covered! The 3 3/4" x 5" size of this bag makes it particularly ideal for holding golden hash browns for a quick snack or breakfast side! You can reheat foods without removing them from the bag, and its grease-resistant design ensures that any grease, sugar, salt, melted chocolate, or other messes stay inside the bag and not on customers' hands. With this Carnival King hash brown bag, serving your most popular on-the-go fare is always a breeze. Thanks to this bag's non-printed design, this bag ensures a clean and simple food presentation that is perfect for any venue. Use it for serving pre-wrapped confectioneries or cookies, or for serving piping-hot fried foods. The options are endless with this bright white bag! Perfect for all of your to-go needs, this hash brown bag gives you quality, dependability, and affordability all in one convenient product. It's the economical option for budget-conscious consumers looking for a versatile bag with a myriad of uses.